When we want to wow kids and grownups with how delicious green smoothies are, this is our go-to recipe. It never fails to convert even the most selective eater to healthy green smoothies. A thinner consistency and a milkshake straw help beginners as well. 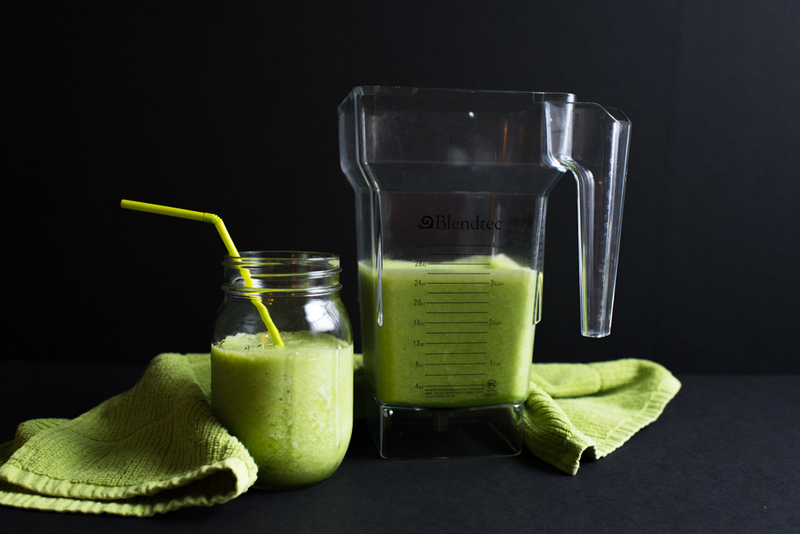 We adapted this basic vitamix green smoothie recipe to meet our own tastes. You can also tweak the recipe your to make it your own! This makes a great breakfast, post workout snack or “side salad” to complement any meal! Your kids will be begging for their greens once they taste this! To increase the total calories, add 1/4 to 1/2 avocado. This is a great source of healthy fat and extra calories when needed! Plus, it's green! 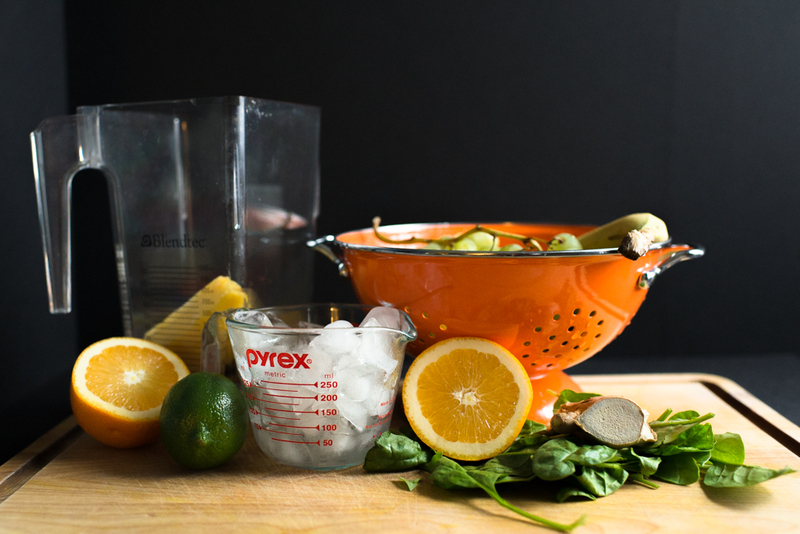 Place all ingredients in the blender. 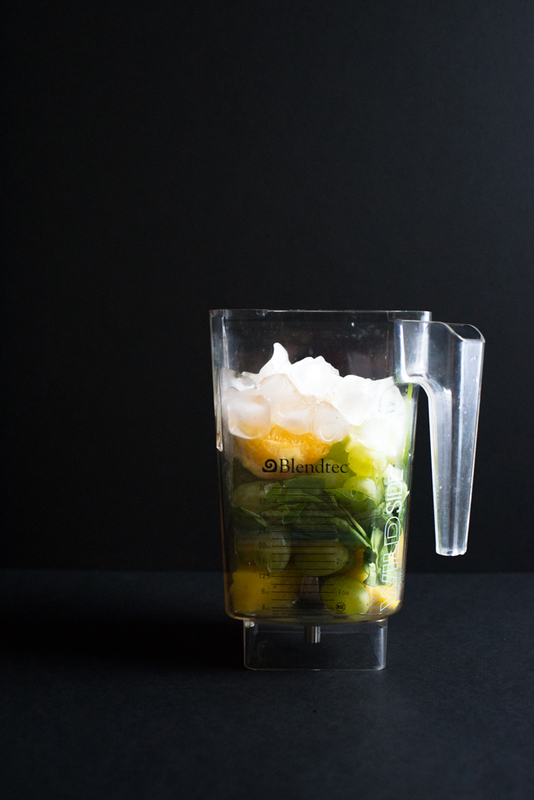 We have found it’s helpful to put the grapes and orange in first, and the ice and spinach last. Blend until smooth. Sip away and don’t forget to give yourself a green dragon mustache!